Breakfast. Do you feel like you are always eating stuff out of a box? Try these for those frazzled mornings. Kid friendly. Parent friendly. 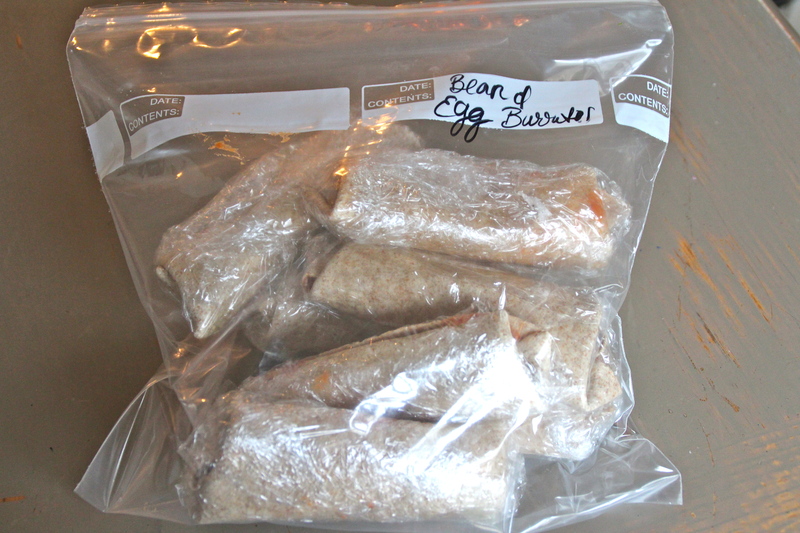 Can freeze them and pop them in the microwave when frazzled, but still feel pretty cool because you actually made them. 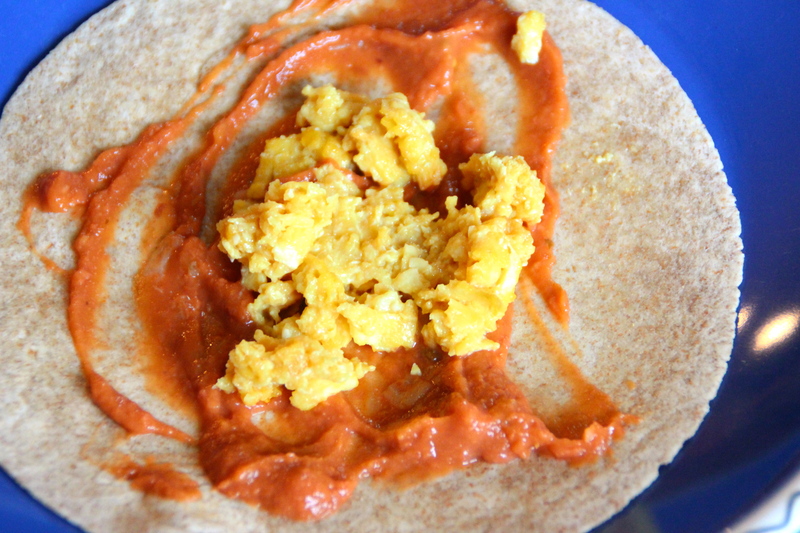 Whole wheat tortilla, organic eggs, vegetarian refried beans, nutritional yeast, and coconut oil. 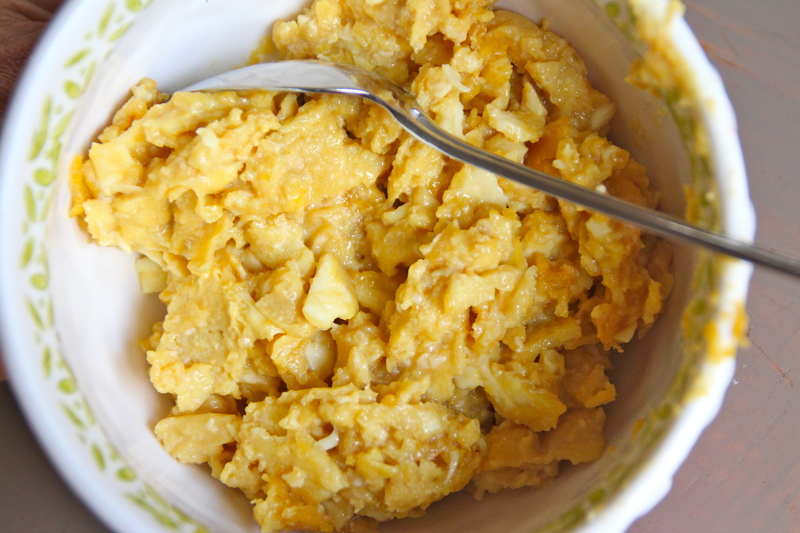 Cook and scramble up your eggs in a tablespoon of coconut oil and 1 tablespoon nutritional yeast (optional). 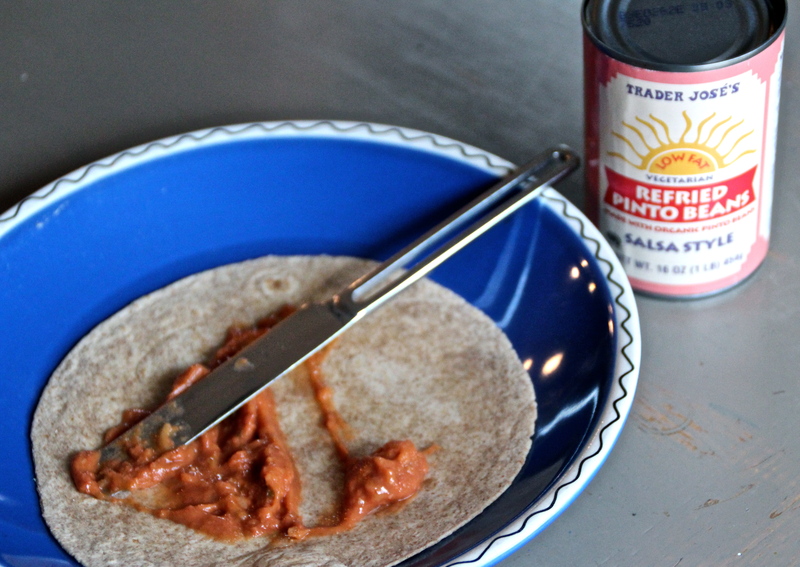 Spread your refried beans on your tortilla. 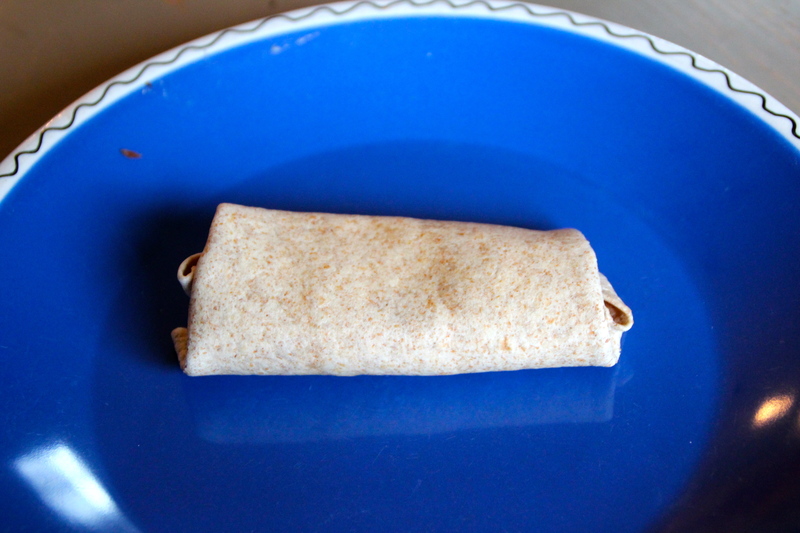 Roll, wrapping in the sides as you go. 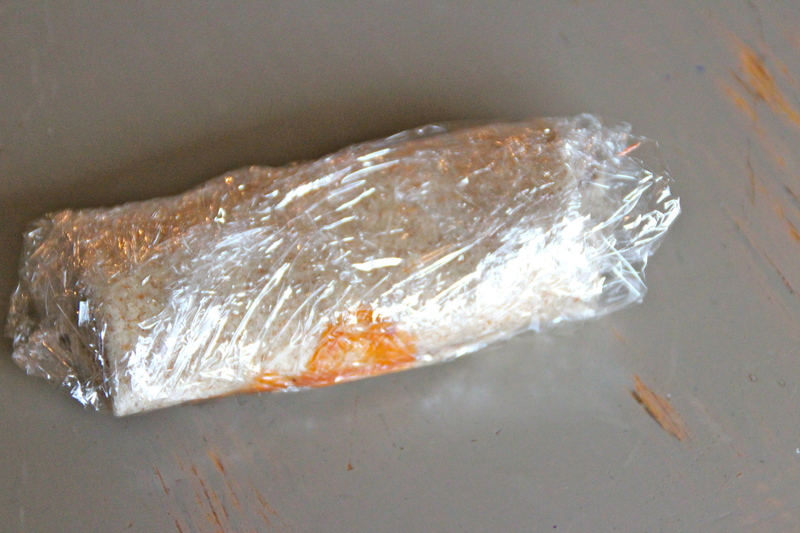 Cover each burrito individually with plastic wrap. Add them all to freezer bag and freeze until crazed morning. Unwrap the burrito from the plastic wrap. Put it on plate and microwave for 45 seconds. Flip it. Microwave it for another 45 seconds. Or keep your burrito sauce-free to keep it transportable. Might be easiest! 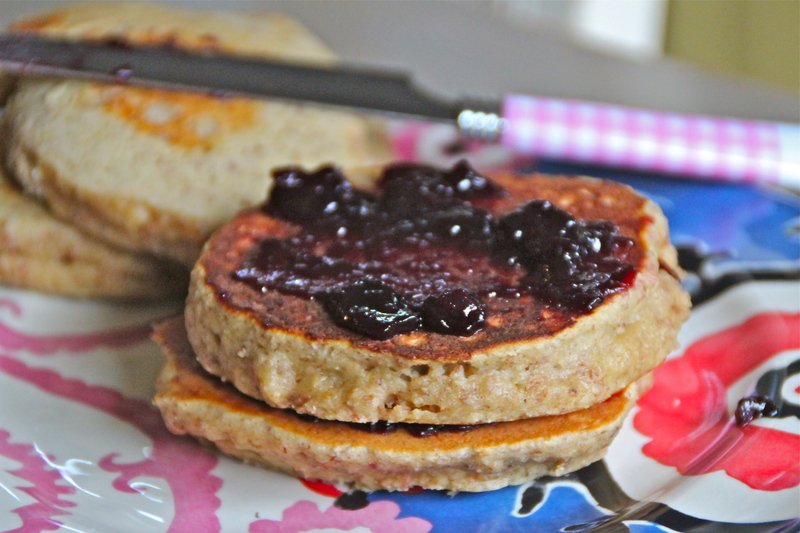 Need a pancake recipe for this weekend? Do you like banana pancakes? Almonds? 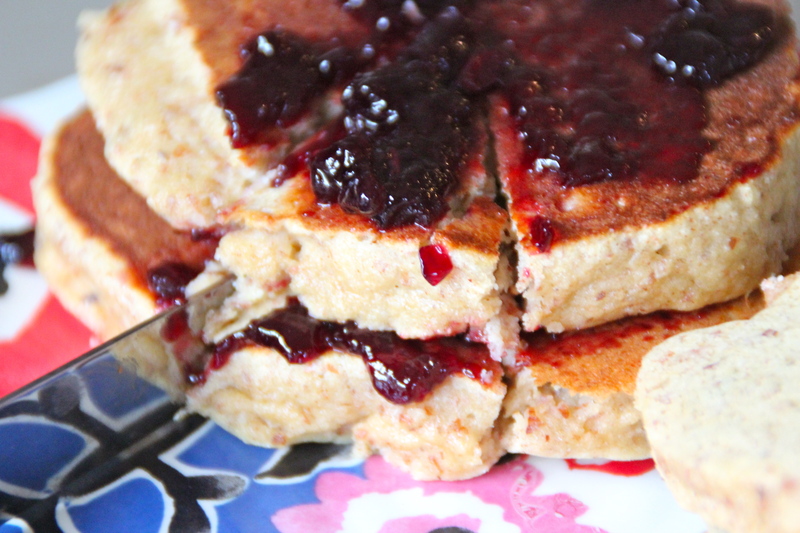 Try this pancake recipe that combines the two. In a separate bowl, mash the banana, then whisk in the eggs, honey, and milk. 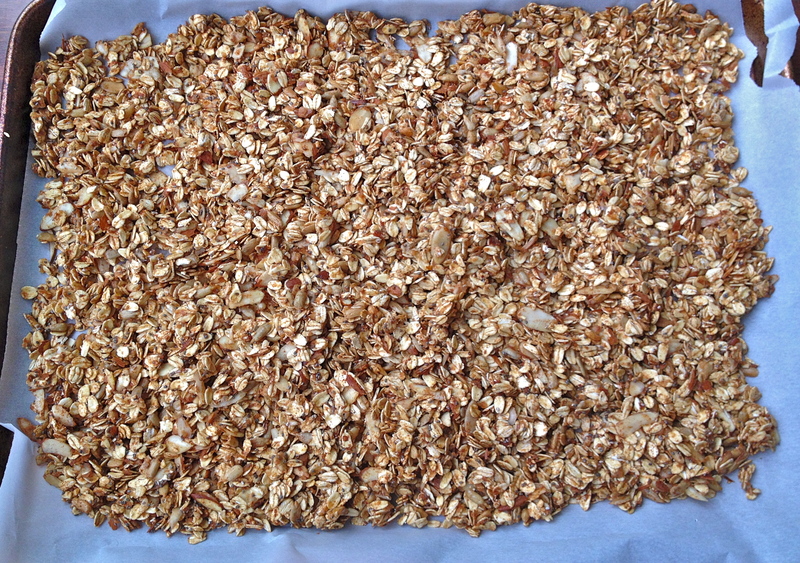 Combine wet and dry ingredients, but do not over do it. Just until combined, okay? Heat your pan to medium-low heat, and melt your coconut oil on it. Spoon your batter into 2-3 inch circles, and cook until the edges lift. 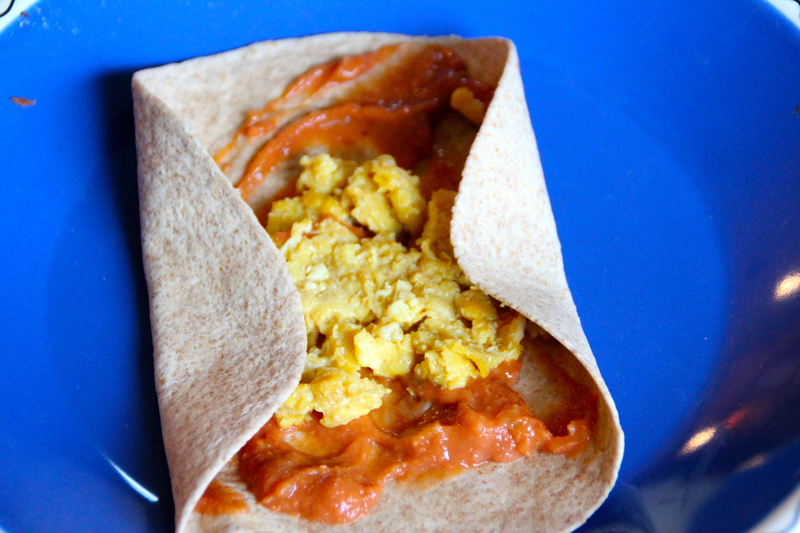 Serve with syrup, peanut butter or yogurt. 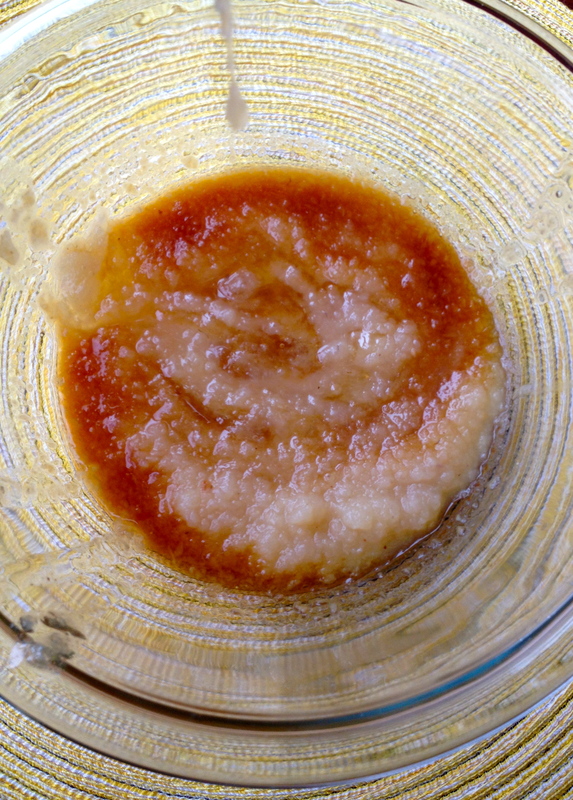 We did all-fruit jelly for a change of pace….no corn syrupy jelly, okay? 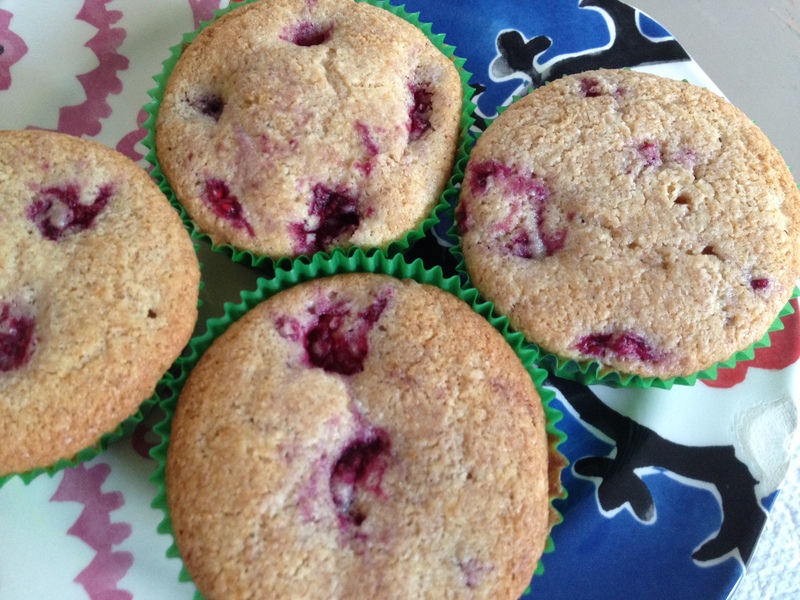 While I will not claim for these muffins to be “healthy”, they are a not-so-bad treat and are pretty darn good. 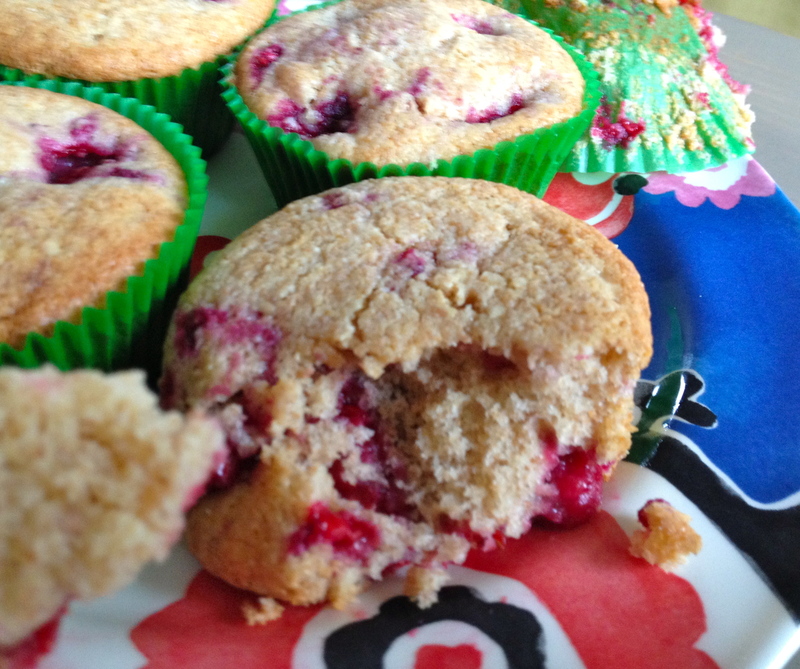 I combined a few recipes, tweaked a few ingredients, and came up with these babies. 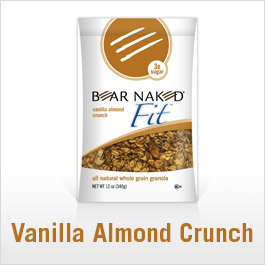 Creamy and sweet, but not over the top. 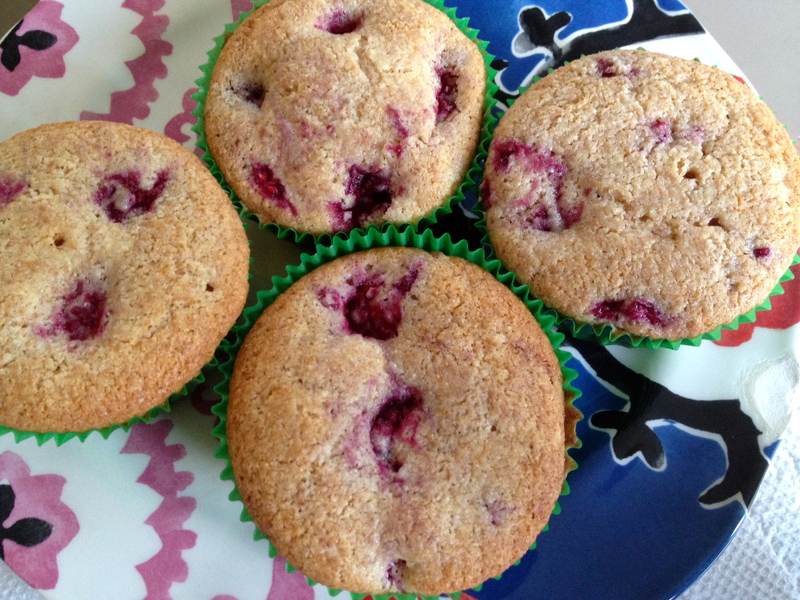 Made with frozen berries so you can make these anytime of year. You do keep frozen berries in your freezer, right? Key to health. Promise. 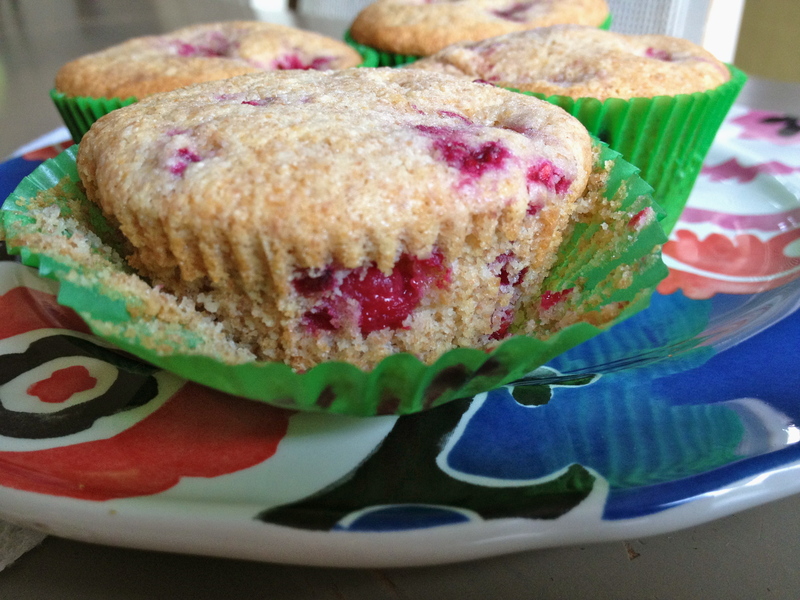 Prepare 12 muffin tins with spray or liners. 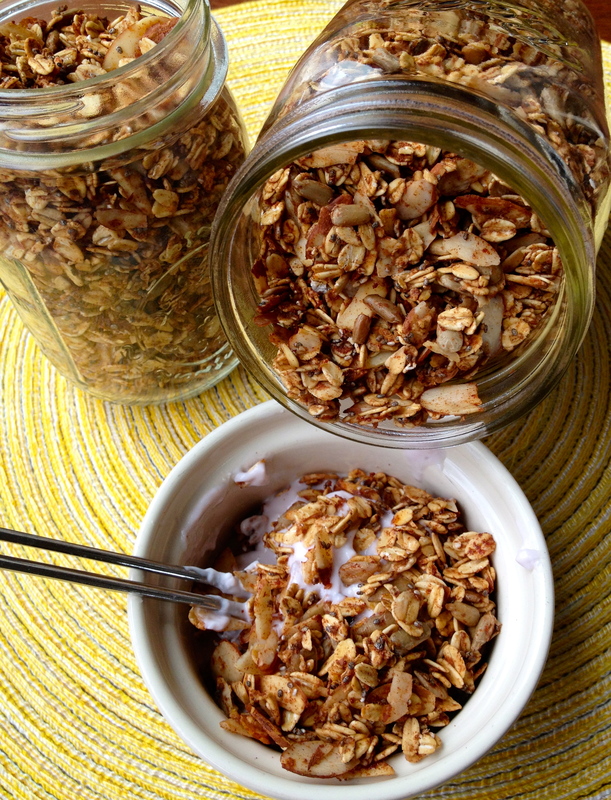 Combine cream cheese and coconut oil in a large bowl. Beat with a mixer at high-speed until well blended. Add vanilla and egg. Beat well. 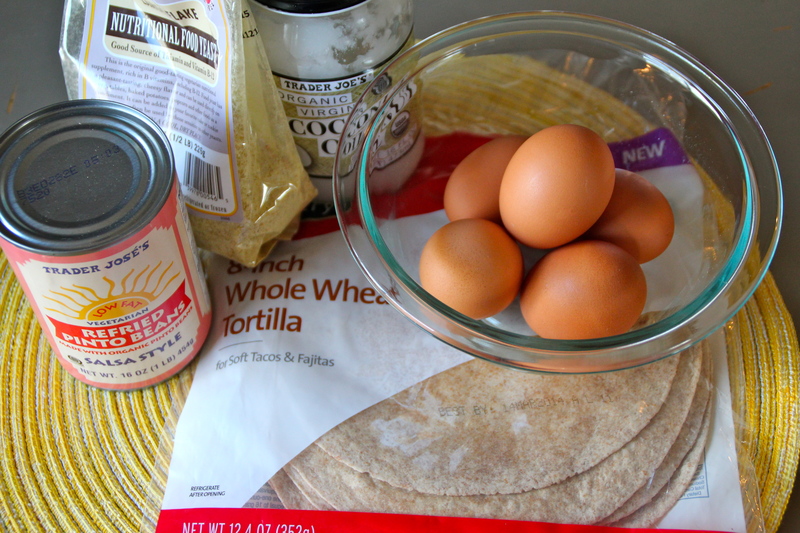 Combine flour, baking powder, baking soda, and salt in a separate bowl. With mixer on low-speed, slowly add the flour mixture to cream cheese mixture. 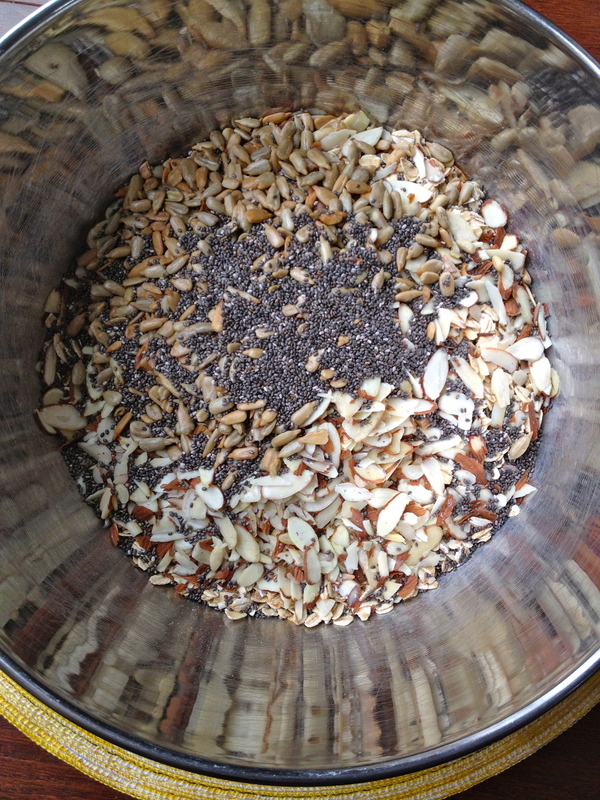 Add almond milk and blend for a few more seconds. Spoon batter evenly into muffin tin. Bake at 350° for 22-25 minutes or until a tooth pick inserted in center comes out clean. This was another one of those times that one of my kids had friends over and I was pleaded with to make a “non-embarrassing” snack. 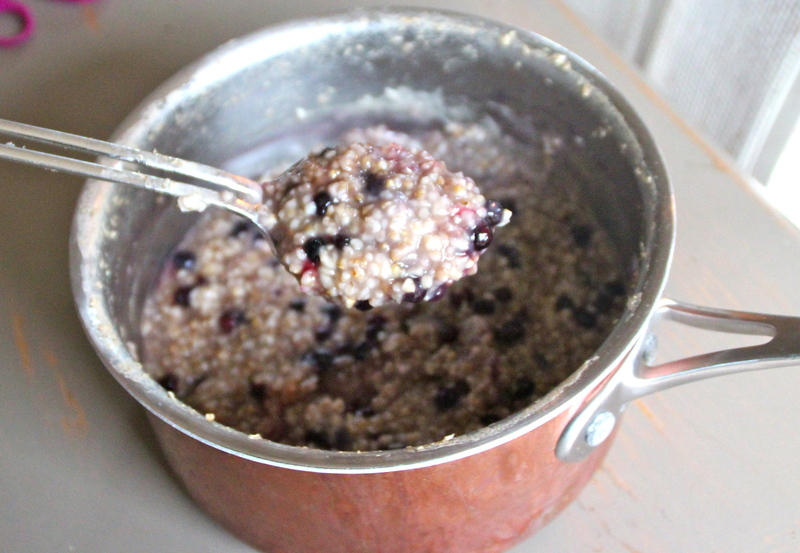 Steel cut oats with brown sugar and blueberries. Does your family all prefer different things for breakfast? This family is no different from yours. Some mornings the kids are freaking over eggs, Cheerios are the arch-enemy, or calling out my burnt toast. Nobody is ever happy or on the same page. However, this breakfast is great, gets no complaints and has a regular spot in the breakfast rotation. Must be doing something right on this one. 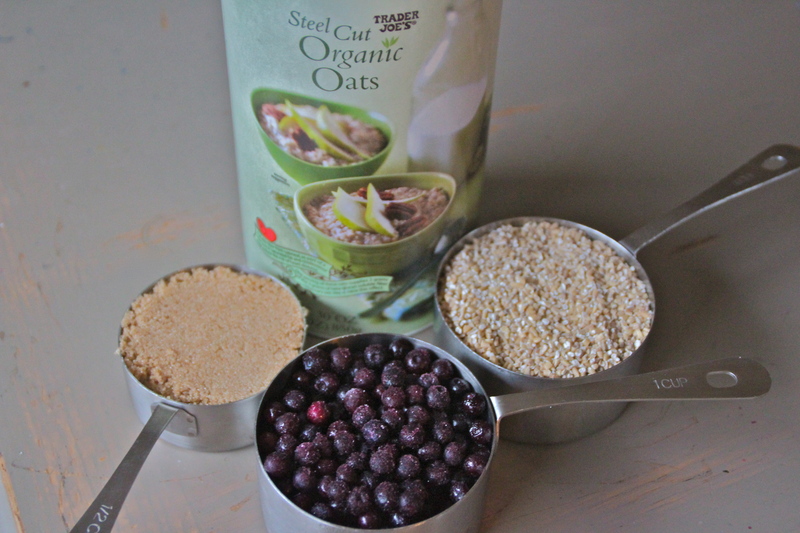 If you are not a big fan of oatmeal’s texture, steel-cut oats may be the kind to change your mind. 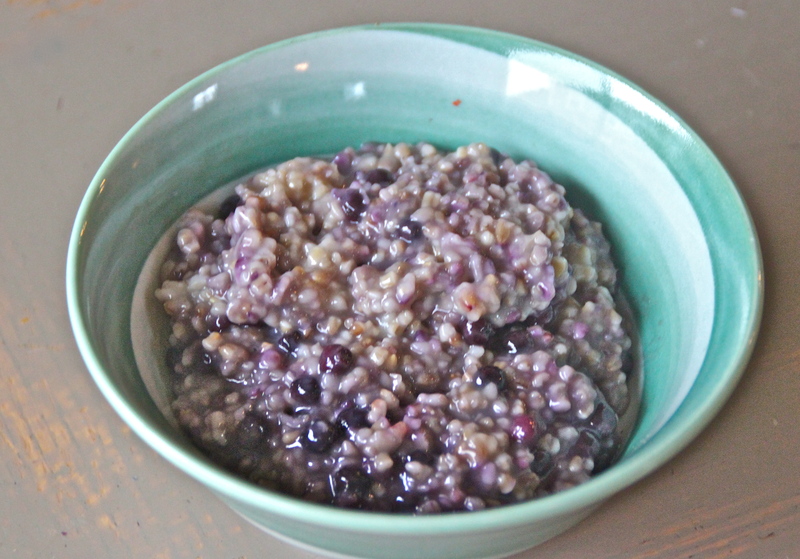 Although steel-cut oats take a bit longer to cook, they are chewier than regular oatmeal which I like. No slop factor on this breakfast. 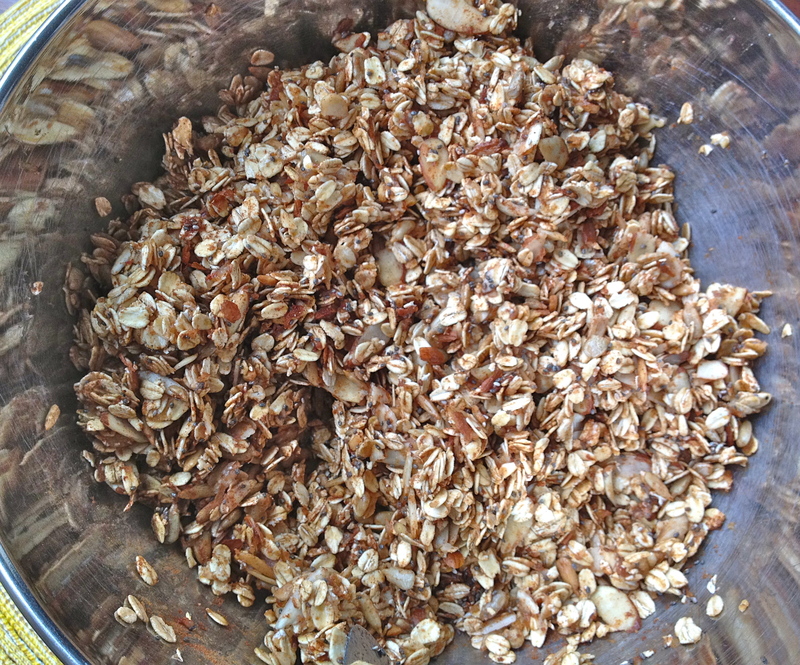 And although I mention that they take a bit longer than regular oats, really they just simmer on low and you stir every so often. Nothing to stress on. Big deal. 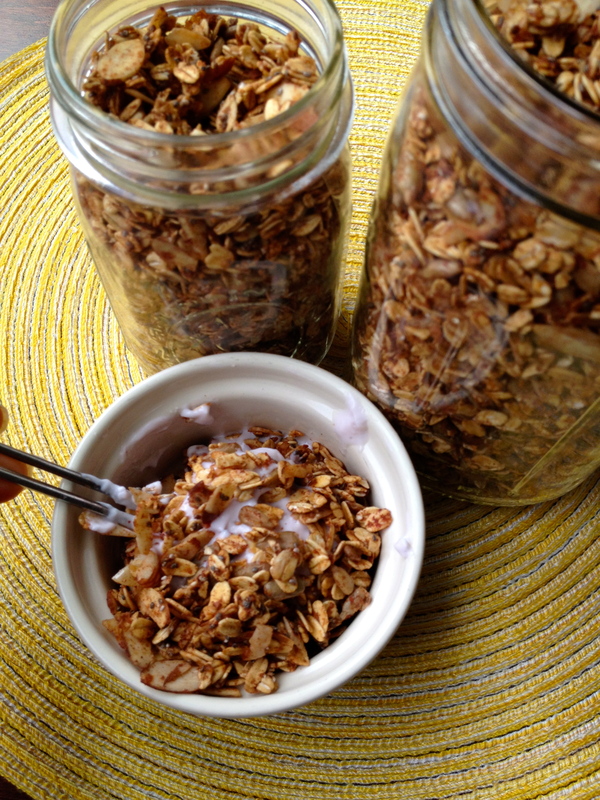 Give this breakfast recipe a try and let me know what you think. Boil for 4-5 minutes until they thicken a bit. Reduce heat to slow and simmer for about 30 minutes, stirring periodically. Add frozen blueberries. Stir for a minute or so, keeping on low heat.